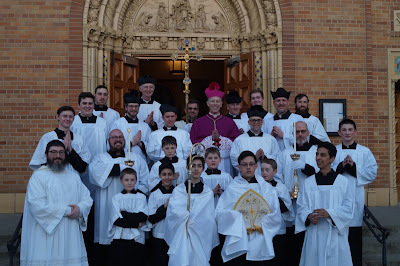 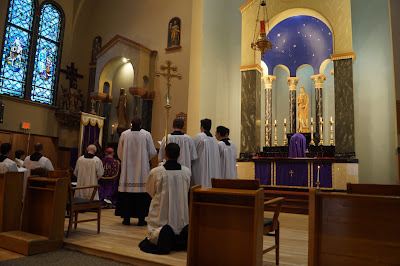 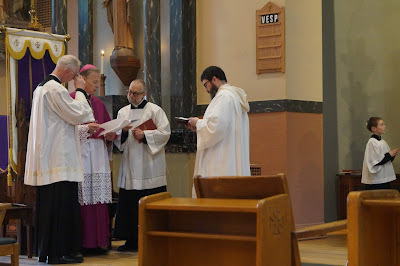 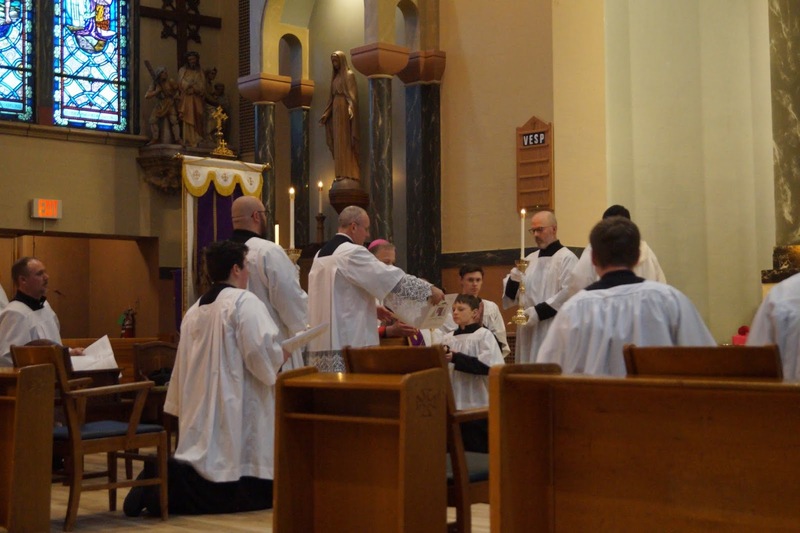 On Wednesday, March 20th, at St Stephen’s Parish in Portland, Oregon, His Excellency Alexander Sample, Archbishop of Portland, celebrated Pontifical Vespers at the throne according to the 1960 Antiphonale Romanum. 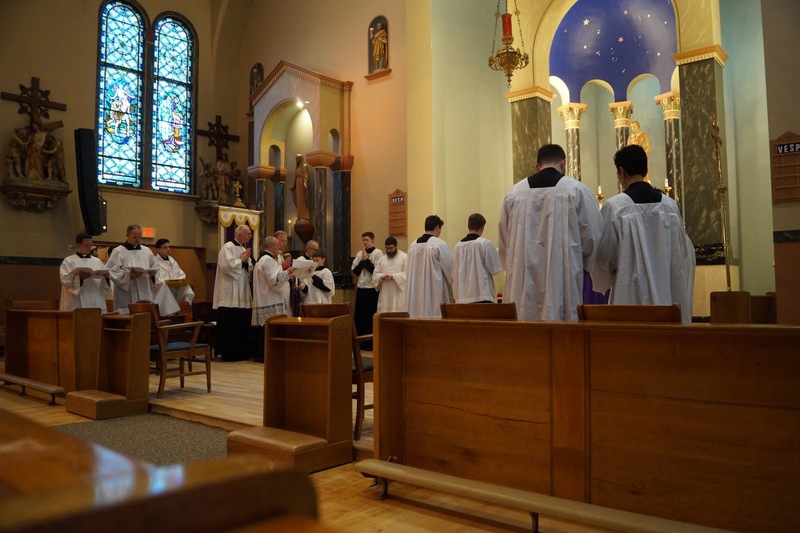 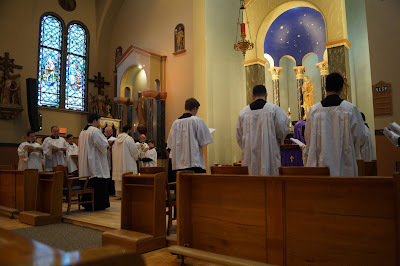 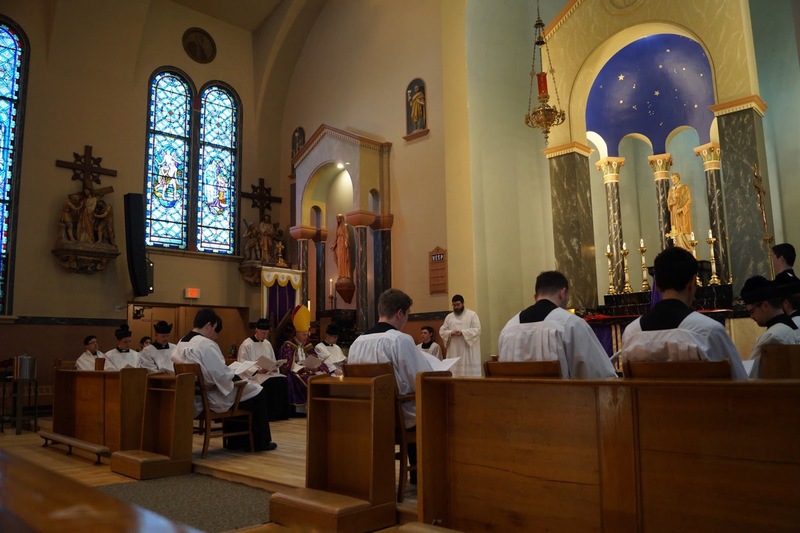 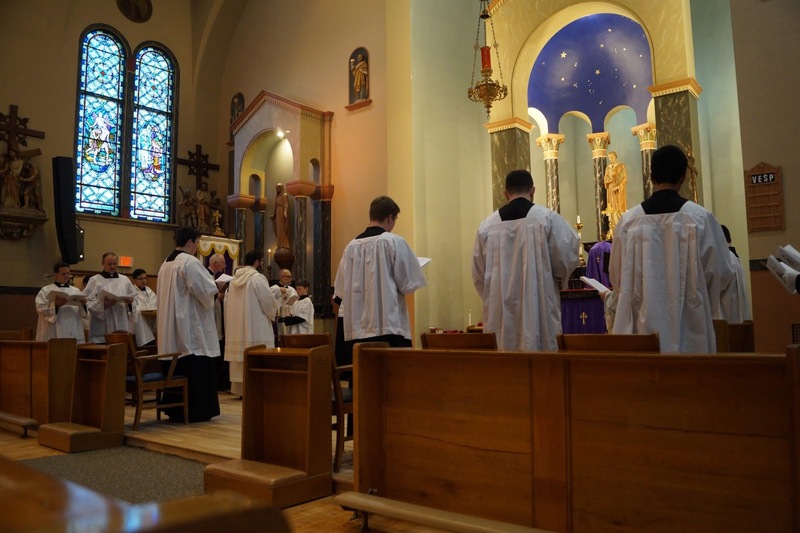 Vespers was of the Wednesday of the second week of Lent; since there was no Solemn Mass being sung the following day, the attending ministers wore simple choir dress instead of sacred vestments. 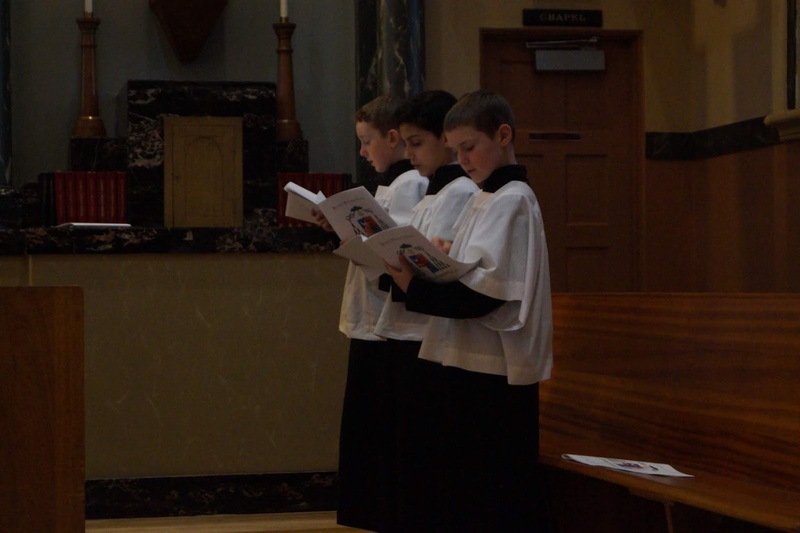 St Stephen’s celebrates traditional sung Latin Vespers every Sunday at 5 pm. 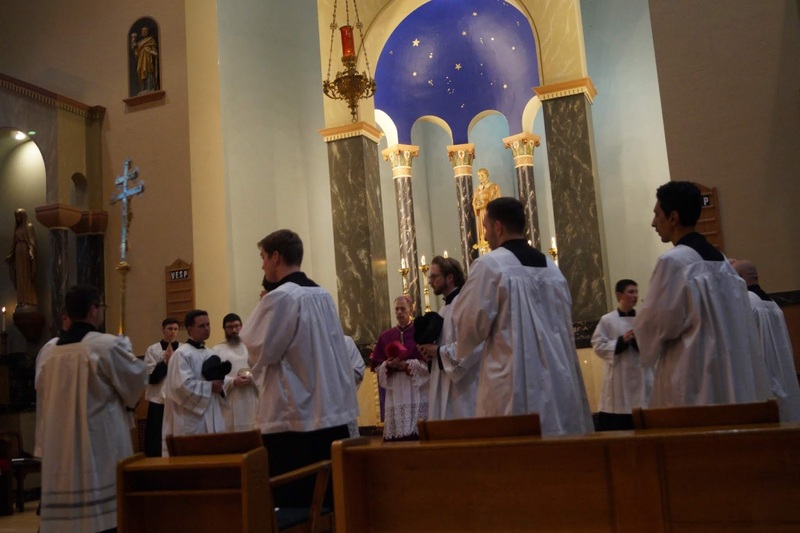 The Magnificat alternatim trium vocem by Christoph Dalitz (2018) was sung with a robust faux bordon, directed by 17 year old Coulter McIntyre and the schola of young men and seminarians. 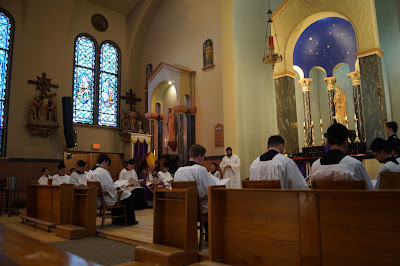 and Vespers concluded with the singing of the Ave Regina Caelorum, op.17/2 by Ciro Grassi (1868-1952). 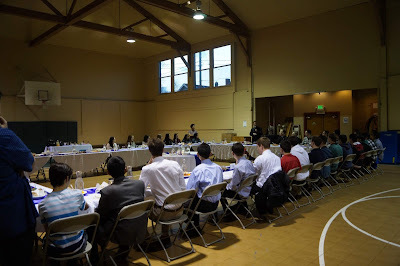 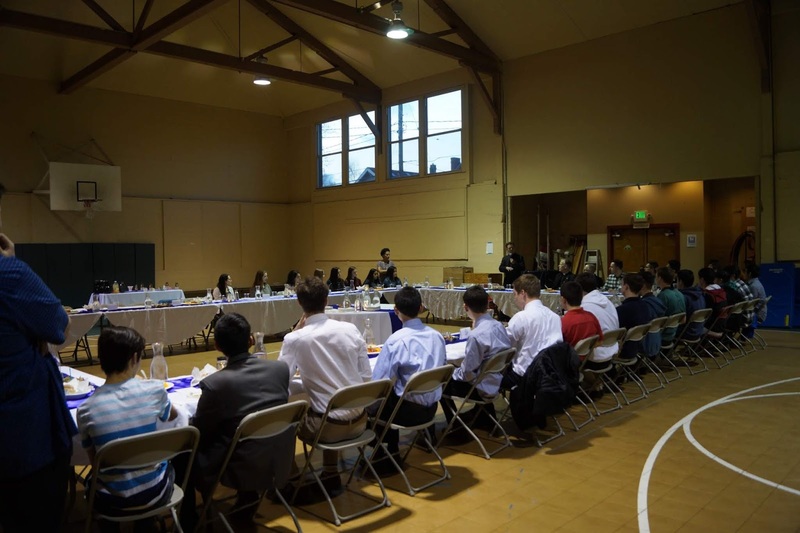 Vespers was followed by a dinner for 40 young men and women, priests, and religious, at which His Excellency spoke about vocations to the priesthood and consecrated religious life; after dinner, the men and women separated into separate groups to hear vocation stories and ask questions.